Amazing terraced house with luxury flair in Son Serra de Marina. It has a private pool and offers a second home to 4 people. Detached family house in Son Serra de Marina, Mallorca North, with capacity for 6 - 8 guests. Beautiful and charming chalet located in the coastal village of Son Serra de Marina, where 6-7 people can enjoy a placid stay only 700 metres away from the sea. 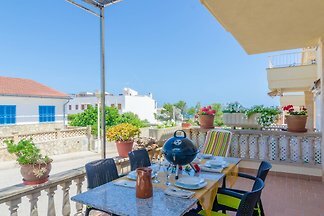 Located in the urbanization of Son Serra de Marina and very close to the sea, this house will make your holiday an unforgettable experience. It has capacity for 10 - 12 people. This summerhouse not too far from the sea is fully equipped, counts with a terrace and is situated in Son Serra de Marina. It is prepared for up to 6 persons. Beautiful villa for 4 people located 300 meters from the beach of Son Serra de Marina. Welcome to this fantastic house with private pool in Son Serra de Marina. It is perfect for 6 people. 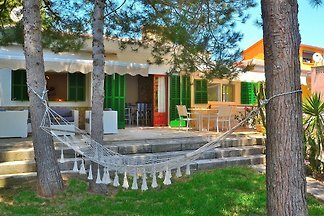 Beautiful summer house in Son Serra de Marina, in Northern Majorca, ideal for 6 - 8 guests. Set in the quiet village of Son Serra De Marina, in Mallorca North, this tree-storey chalet with private pool can comfortably accommodate 10 - 12 guests. Great summer house in Son Serra de Marina, a few meters away from the sea and capacity for 7 guests. from 5 3 holiday homes & accommodations in Son Serra de Marina were rated with an average of 4.3 out of 5 stars ! Rent successfully your holiday flat or holiday home in Son Serra de Marina in only 20 minutes !